The keto flu is actually not the flu at all or you have any disease. It is the withdraw symptoms from lowering your carb intake. It only lasts 2-4 days while your body is adapting to burning ketosis instead of glucose. Other may experience it longer like 3-5 weeks as it varies from person to person. 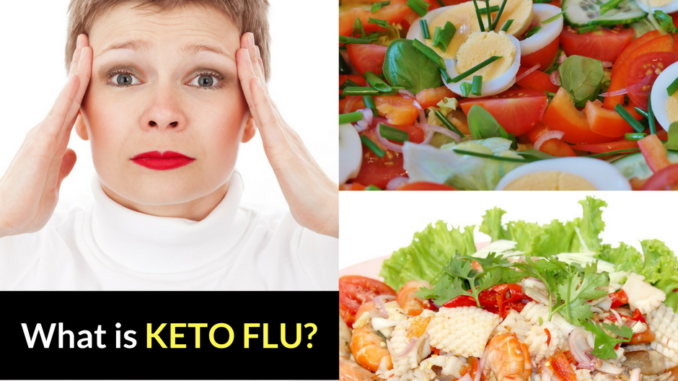 Here are some information about Keto flu symptoms and how to combat it. Most people are having these symptoms at the beginning of their keto diet think that diet is to blame and carbs are good after all. Ironically, seeing these symptoms is a sign that you are dependent on carbohydrates. I researched that there are studies that have shown sugar has the same effect on our bodies and brains as cocaine and heroine. The same areas of the brain are activated when one eats sugar as when one ingests cocaine. So this is like an addiction because when we stop eating sugar (or carbs altogether) our bodies can go through withdrawal. Many people report irritability and mood swings from the hormone surges, or lack thereof. Our bodies are re-calibrating themselves without the influence of heavy factors such as carbs. Same effects on drug addiction. Watch your electrolytes. Electrolytes are minerals in your body that carry an electric charge. Replenish electrolytes (sodium, magnesium, potassium) with food and supplements. To become keto-adapted means your body is now ready and can easily convert those fatty acids you’re eating into ketones. In the beginning, the body may not be well equipped to convert. Give it time, and you’ll become a well-oiled machine soon enough.